DURATION: 9 Days | ACTIVITY LEVEL: Light / Moderate | Ringed by the staggering peaks of the Himalaya, Bhutan is a remote Buddhist kingdom where age-old traditions hold strong. 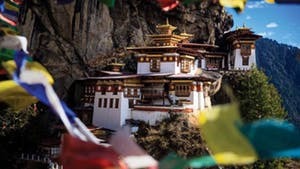 Amid verdant valleys dotted with historic fortresses and shrines, delve into Bhutan’s rich culture with a private guide, discovering how everyday life is intertwined with Mahayana Buddhism. Meet with monks, nuns, farmers, and artisans; take part in ancient rituals; and witness firsthand the cautious evolution of this tiny kingdom. 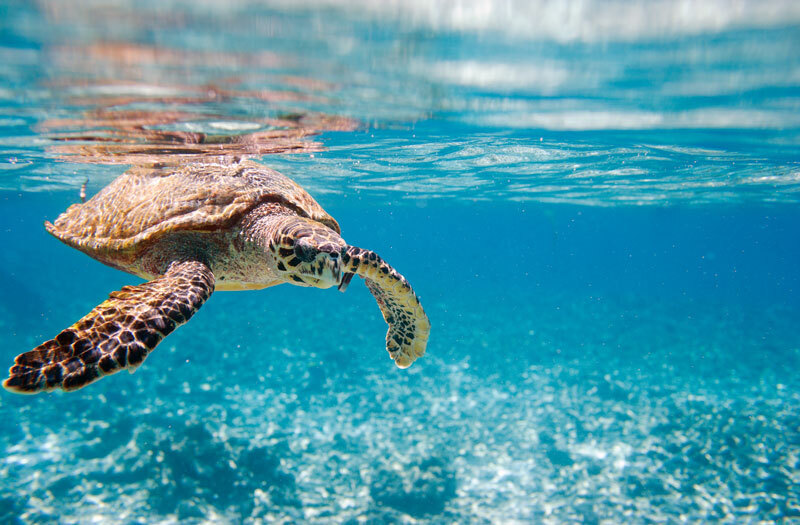 DURATION: 10 Days | ACTIVITY LEVEL: Light / Moderate | Misty mountains and jungle-shrouded rivers, spectacular cave systems and rain forests teeming with rare species: few places on Earth offer such a bounty of natural wonders as Borneo. Uncover the rich biodiversity of Malaysian Borneo on a journey to the wild interiors of Sarawak and Sabah. Explore the world’s largest underground cave chamber in Gunung Mulu National Park, and meet members of the hunter-gatherer Penan people. Stay in jungle lodges nestled within wildlife reserves, surrounded by canopy walkways suspended through the treetops. 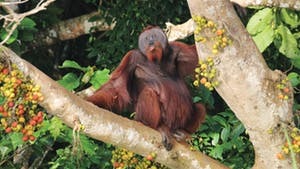 Set out on day and night hikes and river safaris to search for orangutans, proboscis monkeys, leopard cats, and much more. 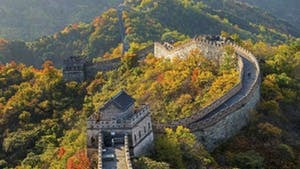 DURATION: 10 Days | ACTIVITY LEVEL: Light | Beneath the glittering skyscrapers and expanding skylines, the ancient heart of China endures, a living testament to a long and colorful history. Exploring alongside private guides, uncover the legacy of imperial China at palaces and tombs, fortified cities and revered temples. Wander through gardens and local markets, spend time with artisans and chefs, and get an intimate look at the vibrant culture of China, past and present. DURATION: 9 Days | ACTIVITY LEVEL: Light | Celebrate the rich heritage of India on a journey through the cultural heart of the country. Explore exquisitely carved fortresses and temples, and gaze at the magnificent Taj Mahal. Delve into the colorful bustle of everyday life in Delhi and Jaipur, meet with local artisans, and venture out on safari through Ranthambore National Park in search of the elusive tiger. 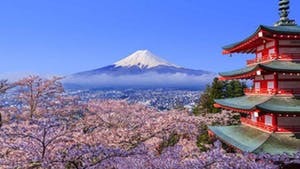 DURATION: 10 Days | ACTIVITY LEVEL: Light | Japan delights in contrasts—flashing neon lights and serene bamboo forests, ornate temples and bustling fish markets, the frenetic energy of modern Tokyo and the traditional charms of ancient Kyoto. Navigate old and new Japan with a private guide, discovering how the country’s layered history defines its fascinating culture. Get a glimpse into the beguiling world of geishas in old Tokyo, stay at a ryokan in Hakone, and dig into the bold food scene of Osaka. DURATION: 10 Days | ACTIVITY LEVEL: Light / Moderate | The timeless spirit of Mongolia can be found amid its rolling steppe and endless deserts. Embrace the intriguing way of life of Mongolia’s nomads as you explore the soaring Altay Mountains, spot wild horses on the steppe, and traverse the Gobi’s undulating dunes. In Ulaanbaatar, go behind the scenes at a paleontology lab, and visit museums and monasteries with a private guide. 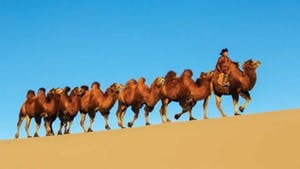 Then head into the countryside to sleep in the serenity of a traditional ger tent and spend time with nomadic families. DURATION: 11 Days | ACTIVITY LEVEL: Light / Moderate | The lush jungles and misty mountains of Thailand lend an enchanting backdrop to cities where colonial architecture, serene temples, and chaotic open-air markets exist side by side. 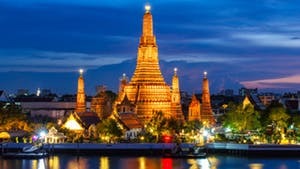 Delve into the colorful chaos of Bangkok while exploring jumbled streets and canals brimming with market vendors and tempting Thai concoctions, and duck into gilded temples with private guides for an insider’s take on Theravada Buddhism. In the province of Pran Buri, settle into a beachfront retreat, and head inland to discover forests where wild elephants roam. Then fly to Chiang Mai to celebrate centuries-old traditions in the heart of the country’s cultural epicenter. 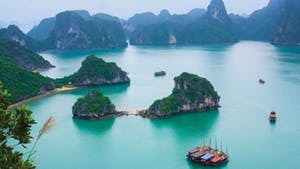 DURATION: 10 Days | ACTIVITY LEVEL: Light | From the temples of Angkor to the karst peaks of Ha Long Bay, experience the diverse landscapes and intriguing cultural heritage of Indochina. Immerse yourself in this beautiful land in many different ways: glide past floating villages on the Mekong in a sampan boat, soak up the atmosphere in ancient temples, and spend two full days among the astonishing Khmer sites of Angkor. Along the way, get acquainted with local culture during a water-puppet show, a cooking lesson, and visits to artisan villages. 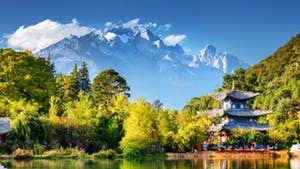 DURATION: 13 Days | ACTIVITY LEVEL: Light / Moderate | Tucked into China’s southwestern corner and pushed up against the Tibetan plateau, the Yunnan province is home to breathtaking mountains and lakes, ancient temples and market towns, and more than 20 distinct ethnic groups—each with its own language, traditions, cuisine, and belief system. Set out from Shanghai and journey to Yunnan’s soaring Hengduan mountains to explore the time-locked towns of Dali, where Bai culture thrives, and Lijang, home of the ancient Naxi. Hike the spectacular Tiger Leaping Gorge en route to the lush valleys and wildflower-strewn slopes of fabled Shangri-La, and delve into Tibetan traditions in sky-high Lhasa.